It will be unveiled at the 2018 New York International Auto Show later this month. 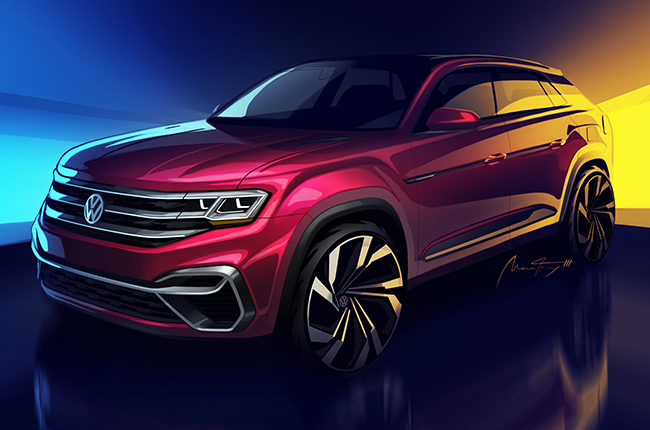 Volkswagen of America, Inc., has recently announced that they will be producing a new variant of the Atlas model – a five-seater SUV. The new two-row Atlas will also be built based on the brand’s MQB architecture, similar to that of seven-row Atlas and Tiguan. Looking at the teaser image, it features a wide horizontal grille, revamped headlights, and bolder air vents, gaining a sportier appeal compared to its three-row sibling. It’s also shorter in size (of course), and has a different wheel design. However, its name remains to be in shadow as the German brand kept mum about it. Moreover, Volkswagen is planning to invest around P17.7 billion to bring the vehicle to market, given that SUVs are popular in the U.S. This new model intends to target a larger scale of customers to boost and strengthen the marque’s sales in the SUV segment. President and CEO of Volkswagen Group of America, Inc. This Atlas variant will be the third Volkswagen model to be assembled at the Chattanooga factory in Tennessee, USA. The 5-seater Atlas is set to roll out at the 2018 New York International Auto Show later this month.